Consortiums, travel agencies and top media have all documented the interest generated by Mexico’s Pacific Treasure among tourists from different latitudes. The Riviera Nayarit is a destination that’s considered a magnet for tourists thanks to the diversity of its beach towns, its excellent hotel infrastructure and its services, not to mention the magnificent natural scenery of the Nayarit coastline. The list of articles published by various consortiums, travel agencies and media is proof positive that Mexico’s Pacific Treasure is top of mind with tourists as one of their best options for vacationing in Mexico. Forbes Mexico recently published an article titled “Riviera Nayarit, a magnet for tourists from the US, Canada and Australia,” where they included the astonishing fact there were 2.8 million tourists who visited the destination, thanks to information provided by the Riviera Nayarit Convention and Visitors Bureau. 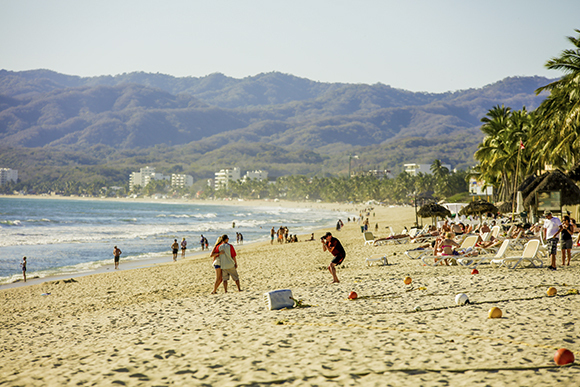 Earlier in the year, the same medium posted that Sayulita was the most visited domestic destination in 2016, with a reported increase of 123% over the number of visitors from 2015 as published by the online travel agency, Despegar.com. Huffington Post Mexico picked out several environmentally friendly emerging destinations, among them Nuevo Vallarta, an EarthCheck destination. Grupo Expansión, meanwhile, explained how Mexicans have exchanged shopping for sun, sand and sea, alluding to the increase of tourists to the Riviera Nayarit. Trivago announced just before Holy Week and Easter that Nuevo Vallarta was one of the top ten most solicited destinations on their search engine for this vacation period in Mexico. Last but not least, Expedia Mexico, one of the top online travel agencies in the world, posted on its blog about the 10 must-visit places in 2017—once again, Sayulita was among them. There’s no doubt the Riviera Nayarit continues to be one of Mexico’s most interesting and sought-after destinations.